Australians are believed to be the highest consumers of organic coffee in the world. 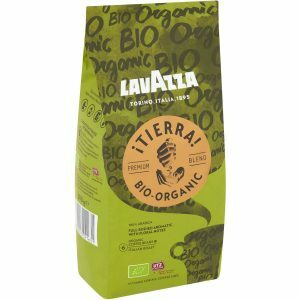 To celebrate, the coffee brand Lavazza has launched a new organic product. Lavazza has selected Australia as the first market in the world to launch ¡Tierra! Bio-Organic, a new product for the ¡Tierra! range. It is named after the ¡Tierra! project, Lavazza’s first corporate social responsibility (CSR) initiative launched in 2002. According to Nielsen, Australians are the highest consumers of organic coffee in the world, with a value share of 12.8%. Denmark is a close second at 11.6%, followed by Canada at 11%. The ¡Tierra! charitable not-for-profit organisation was originally founded to support small communities of coffee growers in Peru, Colombia and Honduras. Today, it has become a wider movement of sustainability initiatives managed by Lavazza in partnership with suppliers and NGOs worldwide. “The company has identified sustainability as a fundamental notion, particularly for Millennials, which is why we’re confident the ¡Tierra! brand will resonate with environmentally conscious Australian coffee lovers,” says APAC business unit director and Lavazza Australia managing director Silvio Zaccareo. Research finds 76% of consumers in the Asia-Pacific region are willing to pay more for sustainable products, 66% of global consumers are willing to pay more for brands and products with a positive social and environmental impact, and 42% of global consumers look for socially responsible and eco-friendly products.